ELLANGEL™ < My Premier > Candy Love Collection Bracelet on ellangelcollection.com NOW!!! Check them out if you like!!! Hi everyone, thank you for checking out my shop, ELLANGEL❣™ based on @angelbirdbb, sell what she likes & what she designs. Follow my Instagram @angelbirdbb & @ellangelcollect to get the latest news. Hong Kong Shopping Haul + GIVEAWAY! ANGELBIRDBB ALL RIGHTS RESERVED . Powered by Blogger. 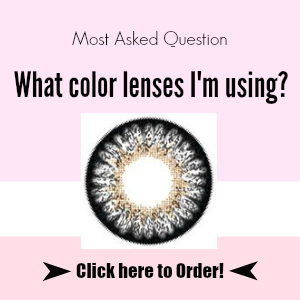 All products that are mentioned and reviewed here on my blog are of my own personal opinions. As with all products, any products mentioned here should be used at your own discretion and with caution. If I receive a product complimentary of the company, it will be stated so in the post, otherwise, all products are purchased myself for my own personal use and I am just here to show you how I use the products and share my opinions about it. All item that I have reviewed on my blog are my 100% honest opinion. © Angelbirdbb | All rights reserved.